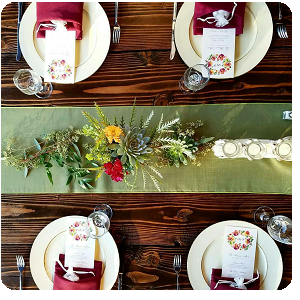 Bruce Brown Catering offers a full range of catering services in Scottsdale, Phoenix, Paradise Valley and through the state. From intimate private parties to large weddings and corporate events, our professional, personal and preferred services result in truly outstanding events of all kinds. Our experienced professionals can customize your catering services based on your personal preferences. We have extensive experience catering in Scottsdale, Phoenix, Fountain Hills and other Valley locations, and developed relationships with trusted venues, florists, vendors and equipment rental companies to ensure that we can provide everything needed for your successful event. Wherever you are in the planning stages for your event, contact us to assist you with any of your needs. We are happy to provide quotes for any services and a no-obligation consultation. © 2014 Bruce Brown Catering, All Rights Reserved.